I REALLY needed to give up smoking cigarettes, which is no easy task. I’ve tried many times, in many different ways to kick the habit over the years though always found my way back smoking as much as I ever had each time. 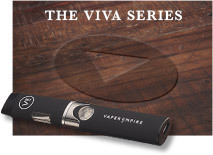 A friend suggested I try electronic cigarettes and after some research I found Vaper Empire online, who seemed a safe choice. They did not let me down. I ordered my Deluxe Starter Kit with some flavours that appealed to me and my package arrived promptly. I was really surprised how easily it replaced my cigarettes and I never looked back. I have not smoked a cigarette now in over 1 year and the thought of doing so is a real turn off. Using the Vapour has given me a new lease on life. I feel much so healthier, saved a packet of money compared to the cost of cigarettes and the large range of amazing E-liquids adds a whole new world of flavours to try. 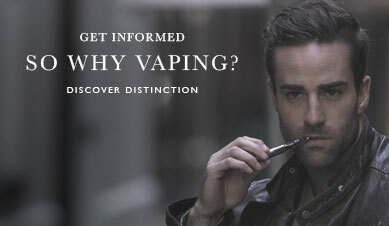 Vaping is just better in every way… as I tell all my friends! 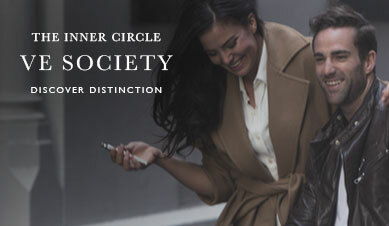 Such a great product and company. Thanks so much Vaper Empire. After experimenting with many vape brands, my quest has ended in complete satisfaction with VAPER EMPIRE’s Titanium series. Finally! 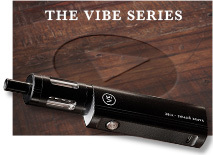 Batteries that last and can be recharged quickly, and a vaporiser that doesn’t clog. With an elegant design, the entire device bespeaks quality – as do the liquids, which are stupendous. 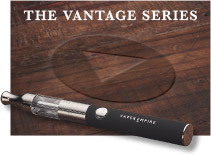 As a connoisseur of tobacco on four continents for over 50 years, I unreservedly recommend VAPER EMPIRE. Vaper Empire is amazing, I had to Quit Cigarettes for health reasons and I couldn't believe how easy it was with the Vapours. I contacted customer service for advice on which flavours would be similar to cigarettes and they replied back to me within an hour with a list of recommendations and which strength I should be on based on how much I would normally smoke. I couldn't believe the customer interaction and support for an online portal. So refreshing! I did my first order and not even a week later my starter pack came, everything was so easy to set up and the flavours recommended to me were perfect! I re-ordered some fun new flavours to try after a month, and now I have started mixing them, the combinations are endless! Really enjoyed my experience here as a customer and especially their products, I can safely say I have quit for ever! Well done and thank you Vaper Empire. I have been a customer of Vaper Empire for a couple of years now and, I’m ashamed to admit it, though I have shopped around in between. I have tried some of the other brands which are a bit cheaper and just kept coming back to Vaper Empire. Their flavours are beyond compare and I am more than happy to pay a little extra for top quality… and it does not get better than Vaper Empire. Compared to cigarettes it’s significantly cheaper anyway so I am still saving a lot of money compared to my ‘smoking’ days which is now a distant memory. Not only are the flavours the best but their devices are great quality, super reliable and if I have ever had a problem their customer service is straight onto it and have me sorted out in no time. Easily the best service I have experienced from an online company. Really impressed. One of the best advantages I have had switching to Vapour which I did not expect is that instead of my partner complaining about my ‘ashtray breath’, she actually wants to kiss me so she can guess what flavour I am trying now. Haha. Big upside! Great job Vaper Empire, keep up the good work. Vaper Empire E-Liquids are an absolute treat and the highest quality e-liquid I have come across. My most adored flavour is Tobacco RY4 with its distinct and smooth aroma. 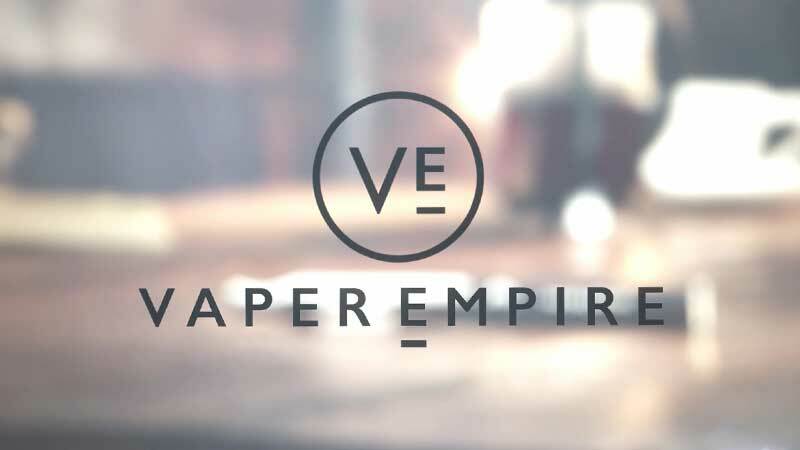 I also tried numerous US and European e-liquid suppliers’ take on the Tobacco RY4 flavour, however none of comes close to the refined flavour and quality of the Vaper Empire E-Liquids, they are simply second to none. The rest of their liquids are fantastic too but I can't go past my favourite! Well done Vaper Empire. 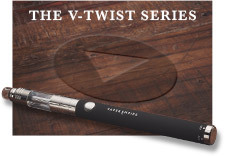 I'm very sceptical of things like this, I've tried E Cigs before and they were useless!!! After nearly 20 years of smoking I was ready to give up on an alternative but came across your product. I was very hesitant to fork out $125 as nothing else worked...BUT I'm glad I did!! 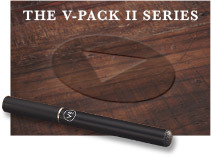 I bought the Black Vantage Starter kit with three 18mg tobacco E Liquid Bottles. I CAN'T BELIEVE THIS WORKS... no cravings whatsoever and I still get that hit like a real cigarette minus the stink smell of smoke on my hands, clothes and breath!! Thank you so much guys, you have no idea how good I feel... keep up the good work. If you have any questions, feel free to contact our friendly customer service team on 1800 827 377 or email: [email protected]erempire.com.au and we’ll be happy to help.